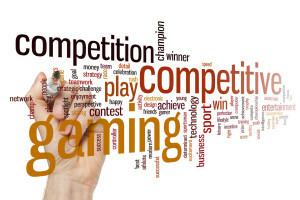 A Game Jam is a cooperative group competition to develop games that meet some criteria within a limited amount of time. There are so many benefits that come as a result of holding Game Jams. They improve computational skills, design ability, academic skills as well as 21st century skills (i.e.,planning, collaboration, and creative thinking). Additionally, they are a great demonstration to parents, administrators, and the general community of the power of game-based learning. There are many types of Game Jams. Groups can aim to develop card games, board games, and even video games. Game Jams can take place over one or multiple weekends, before or after school, or during classes. Game Jams can be competitive or cooperative. G4E is interested in helping schools, districts, and communities plan and hold Game Jams.